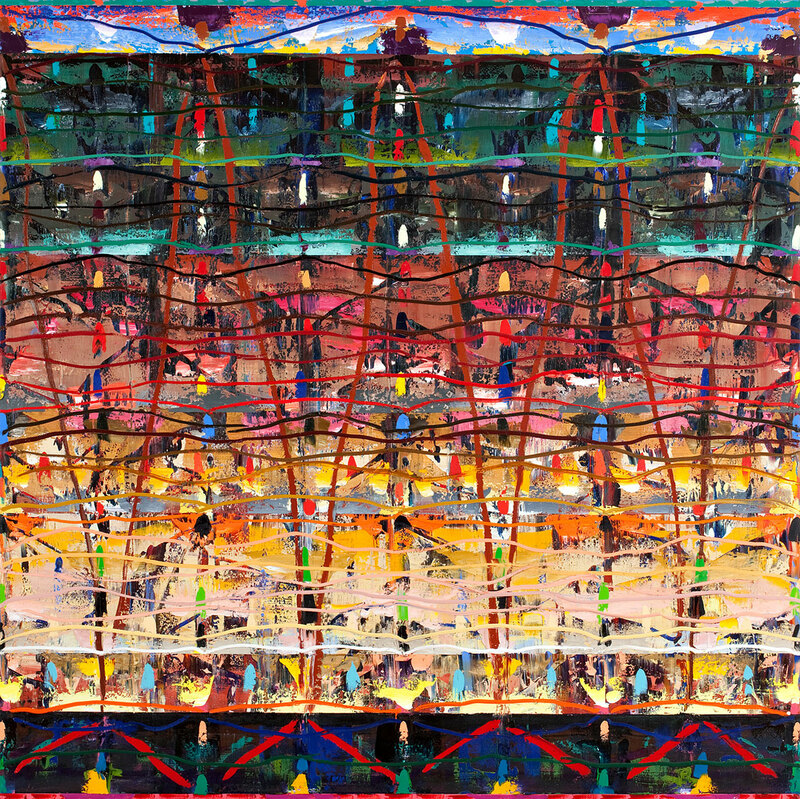 Michael Johnson is one of the country’s eminent contemporary visual artists, renowned for his large scale abstract compositions – all colour and kinetics, equal parts emotion and physicality drawn from the Australian landscape – dating back to the early 1960s. The recipient of the 2014 Wynne Prize for landscape painting for his work Oceania High Low as well as countless exhibitions and commissions, Johnson’s considerable legacy as one of Australia’s foremost painters was formalised this week with the opening of The Johnson, Brisbane’s first Art Series Hotel and a fitting tribute to the artist’s stature in Australian art history. 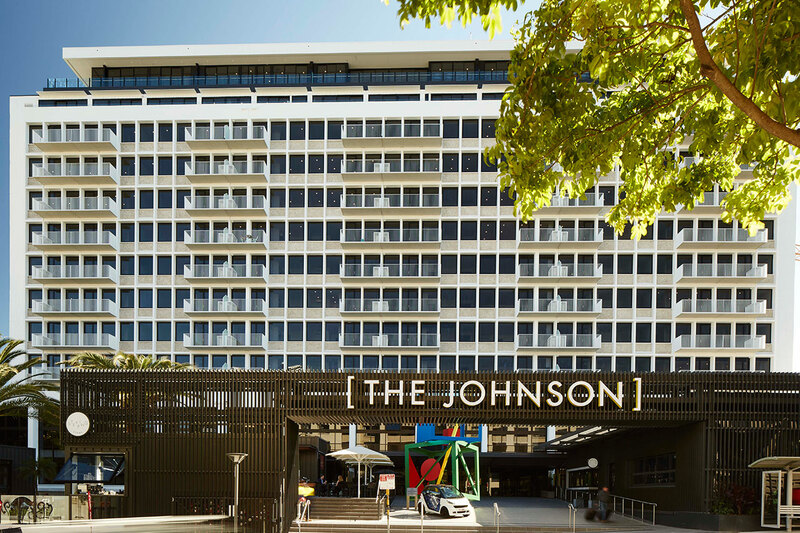 Located on the fringe of Brisbane’s CBD on Spring Hill, The Johnson is a multi-purpose building encompassing the city’s first art hotel, as well as residential apartments, serviced office spaces and an adjoining café, bar and restaurant, the Tumbling Stone (which takes its name, aptly enough, from a Johnson painting). The finished product of three year’s and $155 million worth of renovations to a heritage listed modernist property originally designed by émigré architect Karl Langer to house the state government’s transport department, The Johnson joins a collective of four five star hotels dedicated to showcasing the works of Australia’s most important artists, including Melbourne’s The Cullen, named for the late Adam Cullen; The Olsen, named for John Olsen, the current subject of a retrospective at the National Gallery of Victoria; and The Blackman, named for Charles Blackman, amongst others. Though Sydney-born, Johnson spent a considerable amount of time living in Townsville in the state’s north after decamping from New York to take up an artist’s residency at James Cook University in 1975. At a media preview prior to the hotel’s opening earlier this year, the now 78-year-old recently recalled with great fondness how his paintings quickly outgrew his house, and during semester break, relocated his studio to the refectory at the university where he was commissioned to create an 18 metre mural, Tableau Float, over six weeks – a process he has described as “shedding seven years of New York infiltration out of my soul. It took 16 people to lift that painting on the wall”. 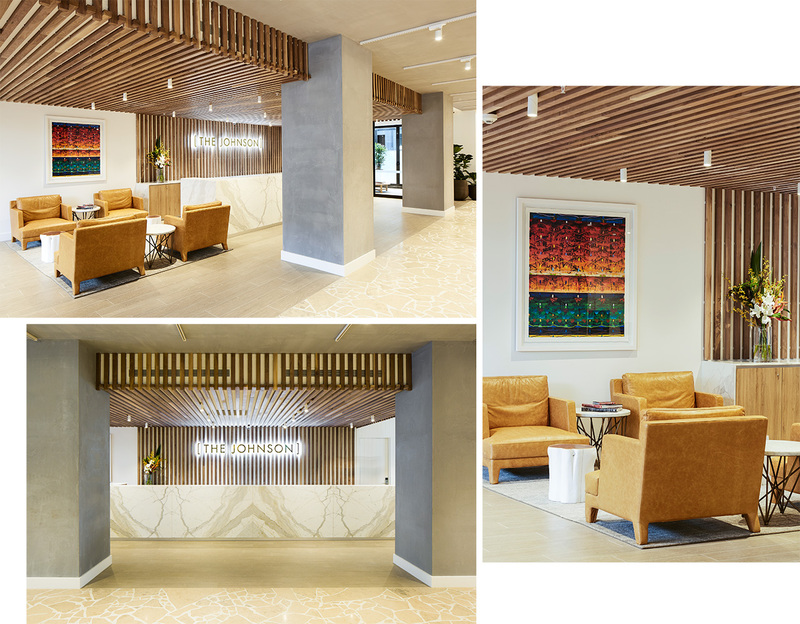 Each of the hotel’s 87 suites and two penthouses is designed to showcase Johnson’s art through the inclusion of signature originals and giclee prints, art tours, in-house art programming, documentaries and a library curated by curated by Art Series Hotel Group. 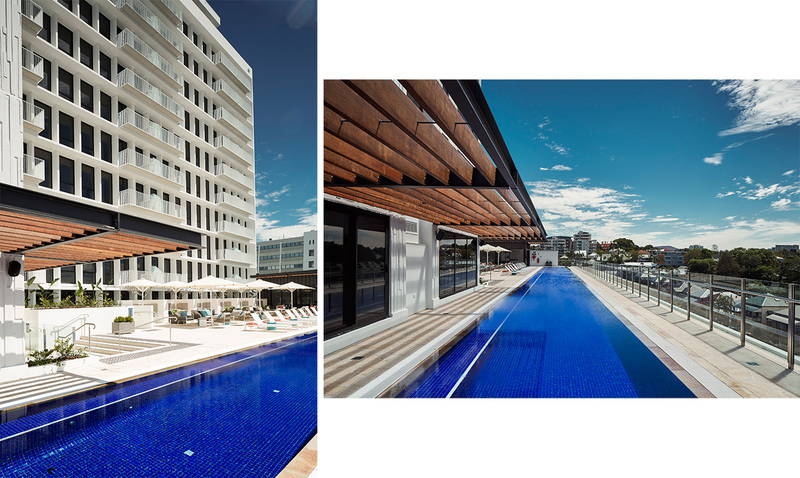 Communal spaces include a bar, deck, state of the art gym and a resort style pool designed by Olympic gold medallist Michael Klim. You really can have it all. More information on The Johnson is available here.